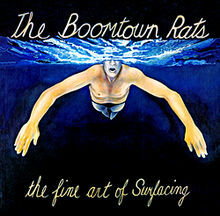 I have two memories of the Boomtown Rats, the first is their incredible hit, “I Don’t Like Mondays,” which I am very surprised that it only reached 73 on the Billboard Charts, not that I ever paid attention to that. The other was they were featured in the opening title sequence of a programme called “Rock World,” which I used to sometimes watch on Friday nights back in 1980. This means, like so many albums I have visited in this year, I am visiting it retrospectively. Besides the fore mentioned single, the album has a few other gems on it too. The first two tracks, “Somebody’s Looking At You” and “Diamond Smiles” are attention grabbing and built my hopes for the rest of the album. After that, however, the album seems to level off for the most part except for spikes in the graph compliments of “I Don’t Like Mondays” and “Nothing Happened Today.” Still it’s a good little album. 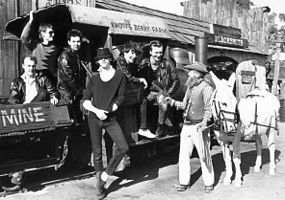 Like so many other new acts at that time, the mainstream American media was quick to brand the Boomtown Rats as punk and their earlier albums support the claim. However, with “The Fine Art of Surfacing,” they deviate more from that punk style and incorporate other musical styles as well and maybe that’s what makes this album more interesting. You have probably already noticed that I have made no mention of Bob Geldolf, the man responsible for Live Aid. I will be the first to acknowledge that before his rise to fame, he first cut his rock and roll teeth here with the Boomtown Rats. He will get his deserved glory later on down the timeline of rock/metal history. In the meantime, here’s a cool album with one of my favourite singles of all time to remember.